Awesome weeknight experience with your work mates! 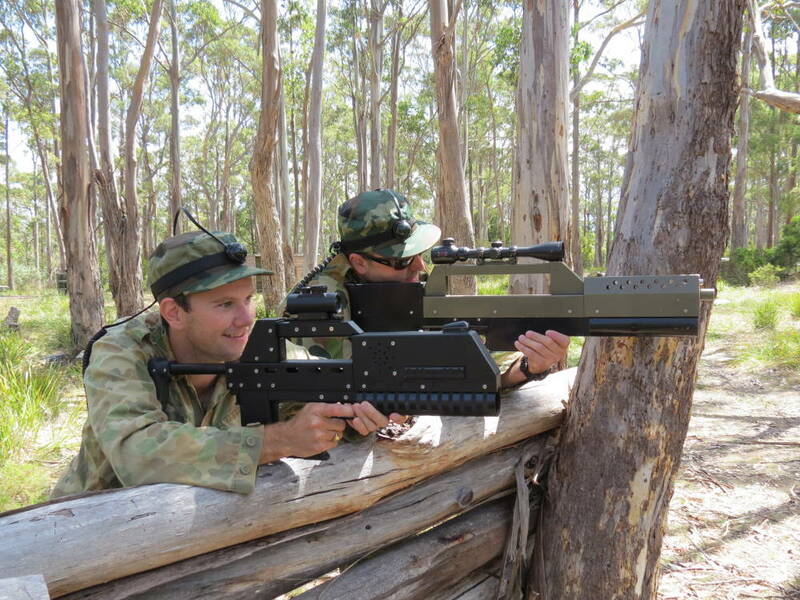 We are Tasmania’s premier tactical outdoor laser game facility, with our bush battlefield located in Kingston just 10 minutes south of Hobart. We are a unique non-contact, action packed fun activity. Players have a choice of Laser Skirmish Taggers from our armoury. 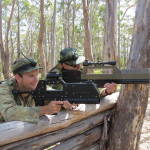 Our guns are made from metal and have real scopes and stocks. 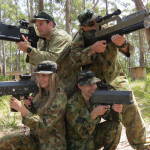 Our guns emit an infra-red beam to tag opposing players, so unlike paintball there is no pain or bruisers. Our outdoor bush fields have log barriers, forts and plenty of natural bush cover. It’s like a live action video game, however it’s up to you to outwit your opponents. We specialise in making your next big occasion a memorable one. 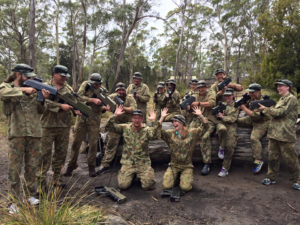 So whether it’s a Hobart kid’s birthday party, bucks or hen’s activity or corporate team building event, Tasmania Laser Skirmish will deliver! Private Sessions are available for booking 7 days. Kids Birthday parties at our Kingston field on the outskirts of Hobart are the most awesome kid’s parties in town. Players are fully immersed by being kitted up with an army shirt & hat to wear. The Birthday Boy or Girl is issued with a special Genuine VIP dog Tag as a momentum for battling with us. Parties are easy to organise for mums and dads as we will run and supervise the battles. The kids are sure to have a blast discussing team tactics and choosing their tagger from our armoury. Gamers then need to out strategise their opponents whilst navigating across our bush battlefields ducking from cover to cover. 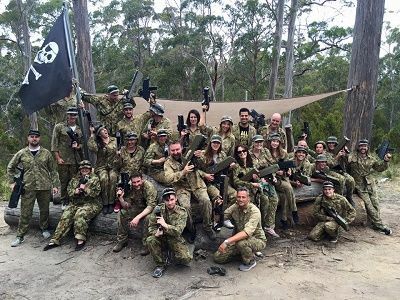 If you’re looking for the best Hobart birthday party ever, Tas laser Skirmish has the answer. 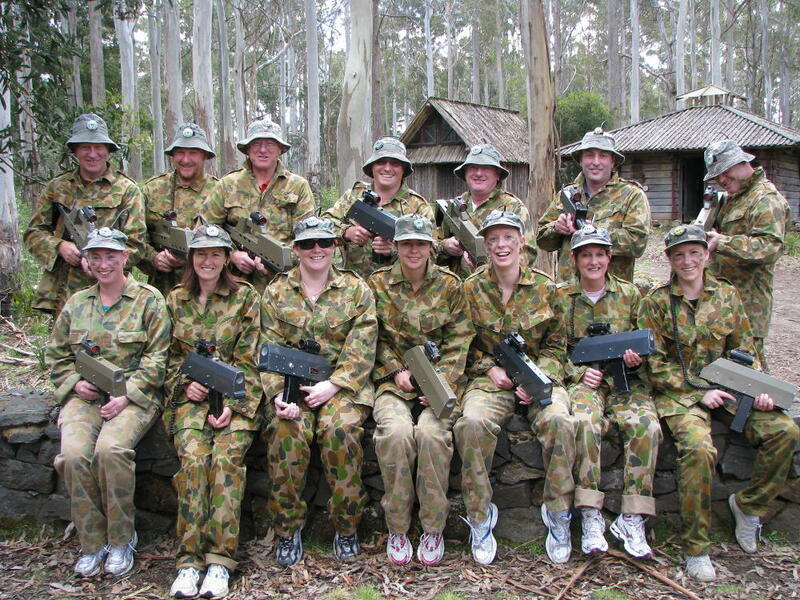 Looking for your next work place Team Building Event in Hobart, Devonport or Launceston? Sick of the same old tired corporate team building activities and want to immerse your team into a live action battle where Team tactics, strategy and decision making will determine your teams fate. Imagine your heart bounding taking fire from the opposing team, what tactical decision will your team take to get you out of this mess, want to know what happens next? Come Play the game. So the big day is set and you’re looking for a sendoff for the Buck or Hen before they take the walk down the aisle. Need a fun adrenalin pumping activity that doesn’t leave the Hen or Buck with bruisers ahead of the big day. 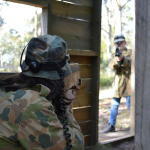 Then Tas Laser Skirmish’s Hobart battlefield is the answer. What better way to prepare the Buck or Hen for the battles that lay ahead? 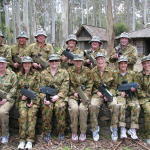 Tas Laser Skirmish outdoor laser tag is a great way to get the team together and suitable for all ages. It’s a memorable activity that will give you plenty of war stories for years to come. Situated only 10 minutes from Hobart it’s easy traveling distance to head off for a night on the town after your skirmish. Looking for an exciting entertainment activity for your School Fair or Youth Event. 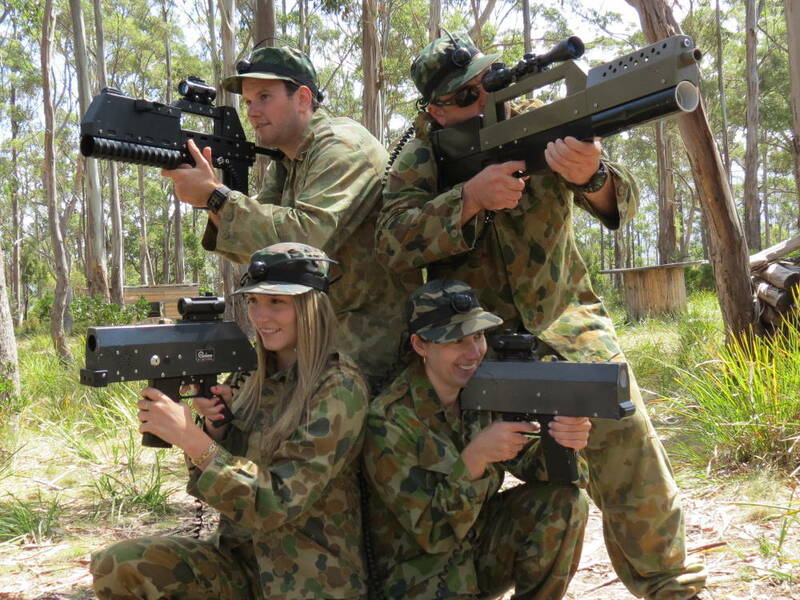 Our mobile laser tag field is available for hire. Our unique inflatable field is the only one operating across Tasmania. Tas Laser Skirmish commenced in 2003 and has been traveling to School Fairs, carnivals and shows around Tasmania ever since. 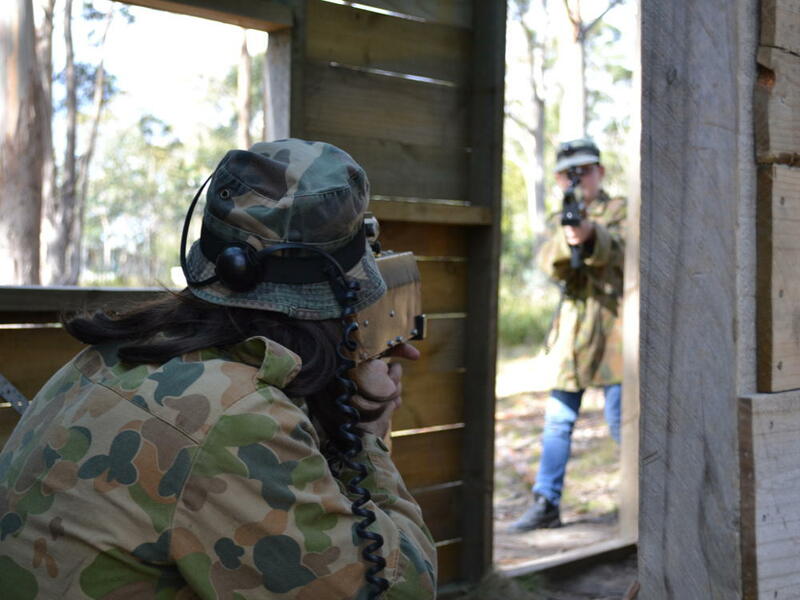 If you’re visiting Hobart or live in Tasmania and are looking for fun things to do in Hobart, Tas Laser Skirmish is the answer. We run regular Open sessions which are suitable for family’s or kids. Our Hobart kids Birthday parties are a blast. 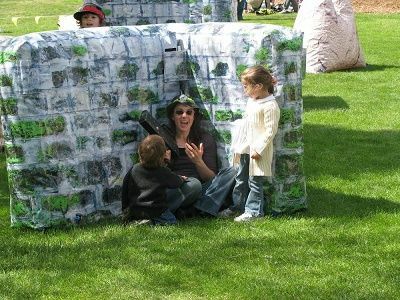 Outdoor laser tag is an adrenalin packed activity that gets kids of all ages outdoors playing real live action simulation games. 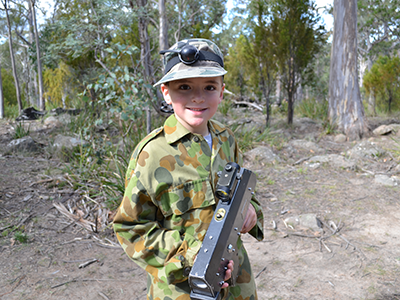 Our Kingston field is situated inside The Lea Scout Centre property near Hobart. If you’re holding a Team Building day or visiting School Camp, the Lea Scout centre has plenty of accommodation and conference facilities on offer. Our Forth field located on the outskirts of Devonport is ideal for team building events and School groups and also services the Launceston area.